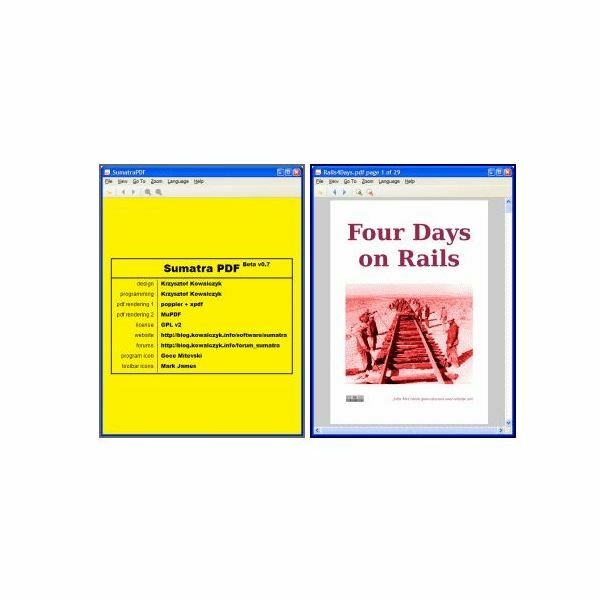 Sumatra PDF Viewer is a bare bones application that focuses on the "portable" aspect of the Portable Document Format. It is a single executable (.exe) file that is ready to go immediately after download; there is no installation involved. Barely over a megabyte in size, Sumatra PDF is the smallest and quickest of them all. Of course, with the speed and portability of minimalism comes a lack of features. Sumatra PDF Viewer has no support for editing or annotations, and is slow to print. It is a PDF viewer in the strictest sense. Foxit Reader offers a great deal of viewing and annotation functionality in its free PDF reader. Drawing markup tools such as arrow, line, pencil, rectangle, and oval are available. Text annotations such as adding notes, text boxes, comments, and links are available as well, although any markups saved as part of the original PDF file will result in the Foxit reader placing a large "evaluation copy" message at the top of the first page of the file. Purchasing Foxit Reader Pro will allow for annotations without producing the evaluation message. Although Foxit Reader lags behind Sumatra PDF, it is relatively fast in comparison with the Adobe Reader. Other notable features include email attachment, a pages and bookmark sidebar, viewing as plain text, and searching across multiple documents. 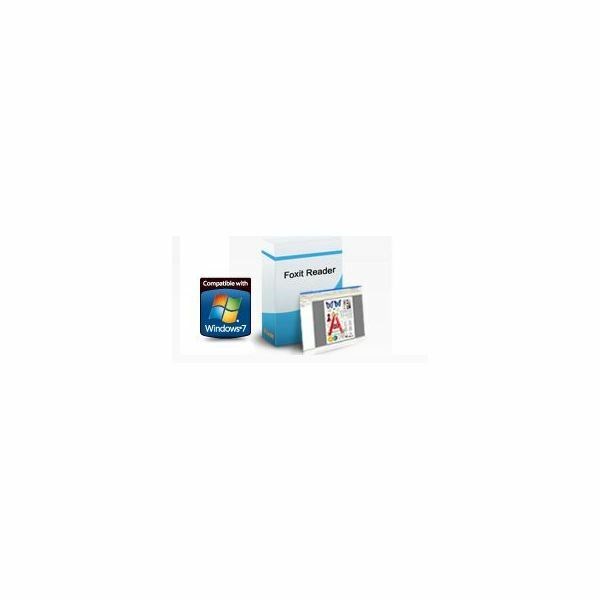 PDF X-Change matches Foxit Reader’s functionality and goes further still with support for encryption, user interface customization, file attachments and exporting PDF to raster images such as BMP, PNG and JPEG. PDF X-Change is also available in a portable version for external USB drives; however, its file size of 6MB is several times larger than Sumatra PDF Viewer. Similar to Foxit Reader, PDF X-Change has a commercial counterpart to its free reader that allows for more advanced editing capabilities. If you want to move, insert or delete pages within the PDF file, you will need to upgrade. Open Office users have an additional option in the Sun PDF Import Extension. The Open Office Draw program is used to import PDF documents. Although it doesn’t support native (Adobe) PDF forms, it preserves imported text attributes such as font size, style, and weight, as each paragraph line is rendered as a single text object. The Sun PDF Import Extension is not intended for use with lengthy, complex documents. Any document longer than 20 pages, or containing EPS or complex vector graphics, can impede its performance. It’s an easy bet that as long as PDF remains an open standard, there will be adequate choices in free PDF software. Adobe Acrobat and Adobe Reader will, of course, remain available for those loyal to the brand.